Keeping in view the geographical, social and economic conditions of Uttarakhand state and to provide more and more technical education to women of state, Sh. N.D. Tiwari , Hon'ble Chief Minister of Uttarakhand inaugurated a new Girls' Polytechnic on October 18, 2003 at Kotabagh in district Nainital. TO BE A RESPECTED AND SOUGHT-AFTER TECHNICAL INSTITUTION ENGAGED IN EQUIPPING INDIVIDUALS CAPABLE OF FULFILLING THE NEEDS OF SOCIETY & INDUSTRY. TO DEVELOP TOMORROW'S TECHNICAL LEADERS & ENTREPRENEURS THROUGH INSPIRATIONAL AND CREATIVE TEACHING THAT MOTIVATES STUDENTS TO ASSIMILATE, ANALYZE AND APPLY RELEVANT KNOWLEDGE AND SKILLS VALUED BY INDUSTRY AS WELL AS SOCIETY. 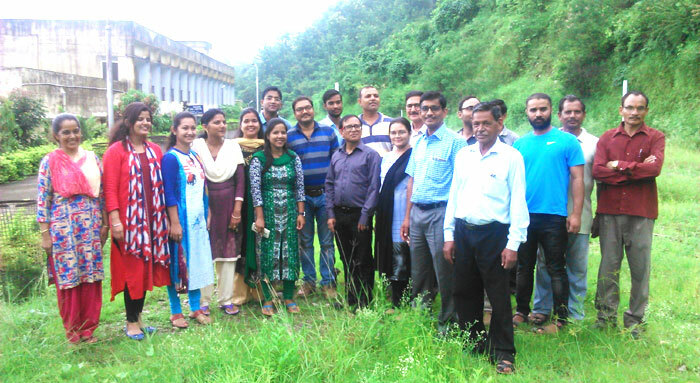 Kotabagh (29�23'39"N 79�18'31"E) is a block head quarter of Nanital District. Kotabagh is also called Kotadun means a land between lesser Himalaya and Shivalik. Kotabagh is bordered by Tarai in the south, Kaladungi in the east, Daniakot in the north and Ramnagar in the west. Rivers like Devaki (Dabaka), Bour, Nihal, Bhakara, Chahal and Kaligar can also be seen. The perennial ones Dabaka and Bour both are being at the boundaries. It is 52 KM away from Nainital via Kaladhungi, 40 KM from Haldwani via Kaladhungi, 28 KM from Corbett city Ramnagar via Belparav, 70 KM from Pantnagar airport via Haldwani. The institute was started as an exclusive polytechnic for women in year 2003 named Government Girls Polytechnic Kotabagh. But it was converted into Government Polytechnic Kotabagh in the year 2010. The institute is affiliated to Uttarakhand Board of Technical Education, Roorkee and approved by AICTE.